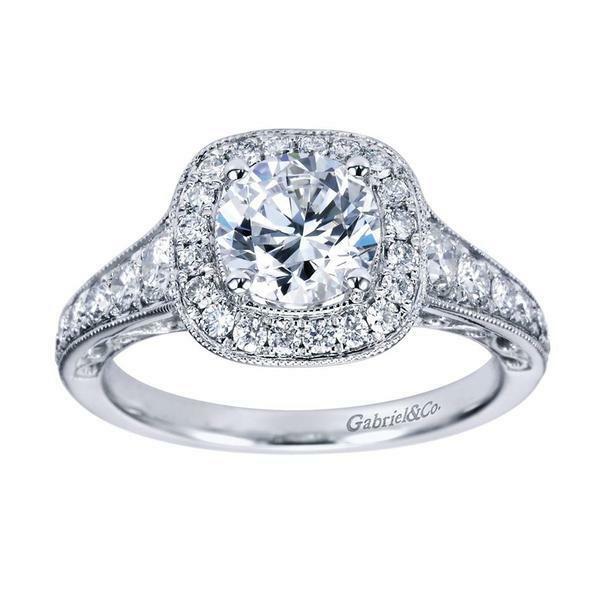 Diamonds and Semi-Mountings are usually combined to form an engagement ring. Engagement rings can also be a simple band without diamonds –with or without a design. They can also be a solitaire band that accentuates the center stone. The engagement ring may be dressy with a design carved into the ring or they can be more elaborate with diamonds on the shank (side of the ring). Another feature to dress up a ring a simple solitaire by turning it into a wedding ring with two diamond bands on each side. 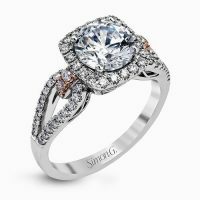 It is not uncommon the groom will purchase one of side diamonds bands for the wedding and add the second diamond band as an anniversary or other special occasion. The bride has a vast choice of rings in today’s market. The engagement ring can be made in different metals: platinum, 14kt or 18kt white or yellow gold or any combination thereof. The semi-mounting holds the engagement diamond. The semi mountings are designed to accommodate diamonds of different shapes (cut), whiteness (color), brilliance (clarity) and lastly size (carat weight. The 4C’s, as they are known in the jewelry industry, give bride and groom unlimited choices to choose from. Prior to selecting the semi-mounting, the above 4C features of the diamond must be considered. Our experienced staff has the ability to work with you in finding a wedding ring that meets your dreams and most often falls within your budget. The bride has a vast choice of rings to choose from in today’s market. 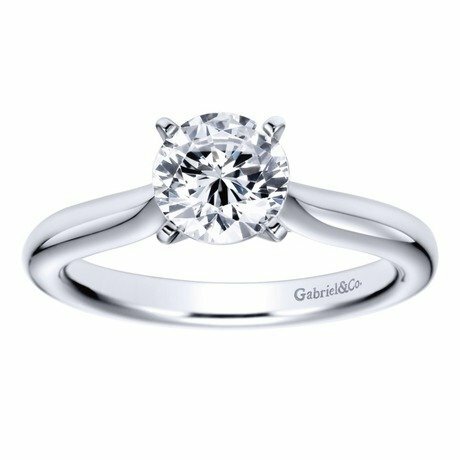 The engagement ring can be made in different metals: platinum, 14kt or 18kt white or yellow gold or any combination thereof.